1Not available with special finance or lease offers. See dealer for details. 2Must Take Delivery by End of Month, May not be available with other offers. See Dealer for Details. 3Not available with special finance or lease offers. See dealer for details. 4Must finance through GM Financial. Some customers may not qualify. Not available with some other offers. See dealer for details. 5Monthly payment is $13.89 for every $1,000 you finance. Average example down payment is 4.5%. Some customers may not qualify. Not available with leases and some other offers. Take retail delivery by 4/30/19. See dealer for details. The Buick Encore epitomizes all that this renowned brand is associated with – style, comfort, sophistication, and much more. This compact SUV turns heads on the road, owing to its beautifully designed exterior with front fascia and grille. 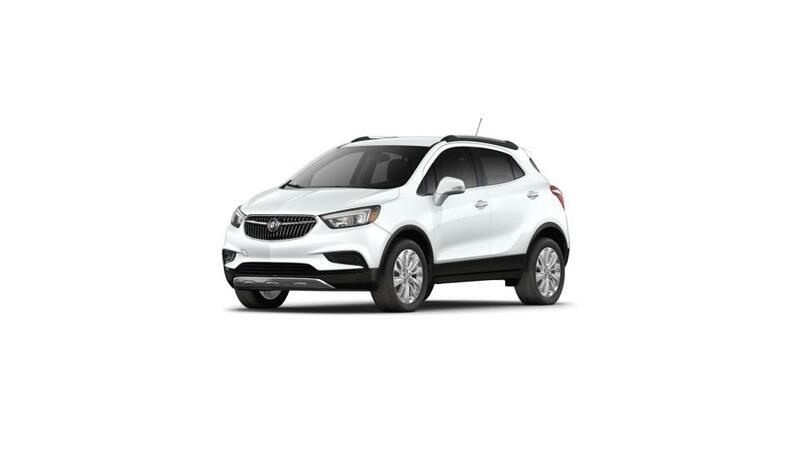 Easy-to-maneuver, the Buick Encore ensures that your drive is comfortable - with a spacious interior created from premium materials coupled with latest infotainment system. Our Buick dealership in Elyria has great offers and a comprehensive new vehicle inventory for our customers. Visit us if you are looking for a new Buick Encore in Elyria.